Help fund master chandrashekhr cancer treatment. This is Chandrashekhar, a cheerful 12 year old boy from Hassan Karnataka. This little boy is suffering from the deadliest form of blood cancer that is acute leukemia and is in his final stage. He needs an immediate bone marrow transplantation which is estimated Rs 30 Lakhs. The above picture is of the boy who now needs your help to save himself. Lets all join hands and pray for him. Also please donate as much as you would like to . Only your prayers and donations will help this little boy to fight this life consuming disease. Your share could be as good as a donation for Ds. Chandrashekhar! Not everyone can afford to take care of their loved ones. Ds. 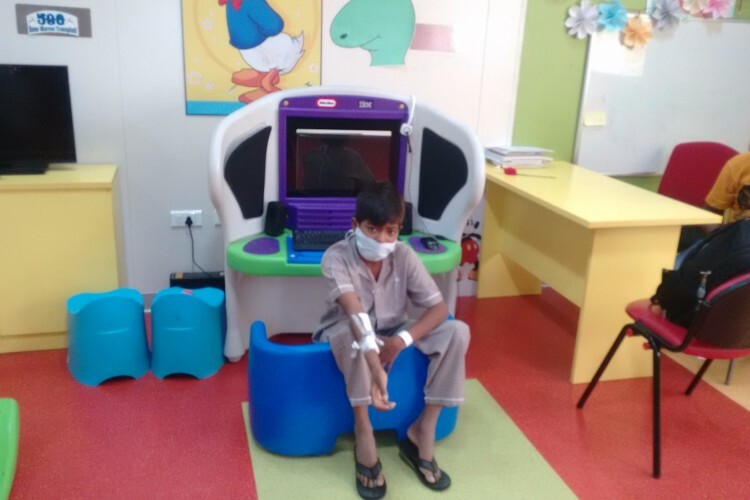 Chandrashekhar's life can only be saved by donations made by kind people like you.